Fire alarm systems play a critical role in every building’s safety plan and the safety of the people working inside. Having an alarm system in proper working order can mean the difference between life and death. These systems can aid in the early detection of fire and keep your building safe from harm and potentially save lives. Along with possibly saving lives, a fire alarm system could preserve your business’s livelihood. Forty-three percent of businesses or organizations that are involved in a fire never end up reopening because the damage to the building is too substantial. 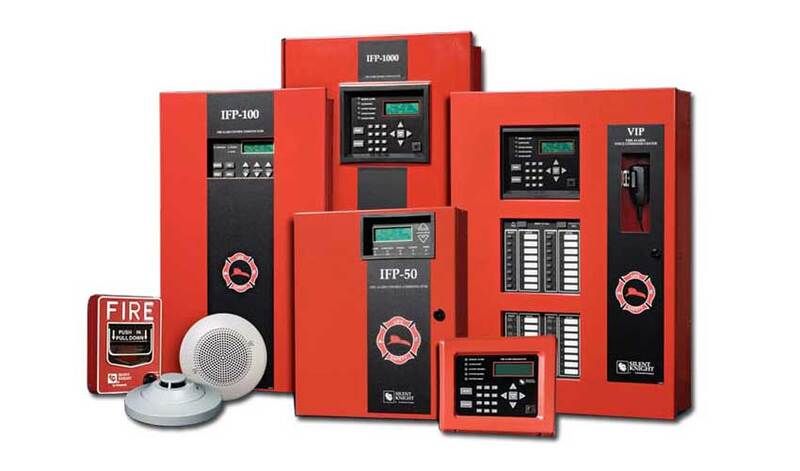 Weber Fire and Safety is able to inspect alarm panels and devices of varying manufacturers and determine if they are up to code and within the NFPA guidelines. Weber Fire and Safety is also able to install fire alarm systems. The alarm service technicians at Weber Fire are always keeping up to date with code and industry changes so we will be able to inspect, install, and service any fire alarm system necessary. When customers entrust Weber Fire and Safety to inspect, service, or install their alarm system, they have partnered with a company that is proven to be knowledgeable and reliable in the field. Once a fire alarm system is installed or replaced, it is required to be inspected annually per the National Fire Protection Association. The specific standard for fire alarm systems is NFPA 72. NFPA requires that simple weekly and quarterly visual checks, more thorough semi-annual tests, and professional annual inspections are performed by a licensed fire protection company. These tests ensure that the panel and all the ancillary devices are operating in accordance with the manufacturer and NFPA. With these inspections and checks, you, the customer, can rest easy that if there is an actual emergency, your system will operate as intended and allow the people in the building to get to safety. Weber Fire and Safety also offers fire alarm monitoring. Fire alarm monitoring means that you have a fire monitoring panel installed and connected to your fire alarm system. When the fire alarm system goes off, the fire monitoring panel will immediately send a signal to a central monitoring station. An operator then dispatches the local Fire Department to attend the building in alarm. It is nice to know that someone is out there looking after your building and ready to take appropriate action in the event there is trouble. Weber Fire and Safety is here to help you inspect and properly maintain your fire alarm system per NFPA 72. We are also able to provide 24-hour monitoring of your system to ensure that not only is trouble detected but the appropriate authorities will be dispatched to the building to keep it safe, along with the lives of your patrons and employees. Weber Fire and Safety will be able to inspect, service, and monitor your fire alarm system in your building. Call Weber Fire and Safety in order to schedule an appointment for any of our fire services. Visual inspection and functional testing of emergency two-way communications systems (when applicable). Functional testing of HVAC and damper control relays (Excludes Certified Pressure Test). Documentation of system testing and when applicable, generation of system deficiencies report.